After taking time off from being on the design team at glitter n sparkle for two years I decided the time was right to come back. 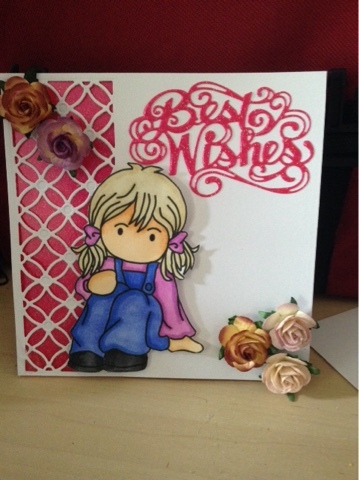 The image is called Just Relax which is from crafty sentiments. So come and take part. Flowers from my old stash. Beautiful card and such a pretty image.